Updated 9/11/18. Disneyland has only ever experienced three unexpected closures in its history: the national day of mourning after JFK was killed, the Northridge Earthquake in 1994, and after the terrorist attacks on the United States on 9/11. On September 11th, 2001 Disney Parks announced it would be closing the parks for the first time since 1994. Due to the time difference, guests had already started filling the parks at Walt Disney World but on the West Coast Disneyland simply did not open that day. 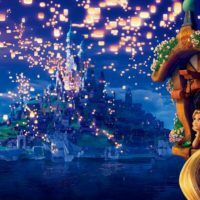 After the horrific terrorist attack that shook our nation, the Walt Disney Company announced the park closures immediately (likely) due to concern that the parks could also be a target. The interviews with cast members and guests at Walt Disney World tell a grim tale of what happened that day. We were told not to tell the guests what had happened unless they asked us. I remember one guest asking me and — after I told them — they just stood there blank faced and didn’t move for a bit. Not everyone in the parks immediately knew the reason for the closure, as you can see from the cast member’s retelling. Before social media was so prevalent, news didn’t often travel as quickly as it does now. 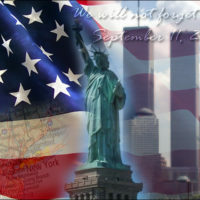 I am sure many of us have vivid memories of where we were the day of 9/11 when we first heard the news. This procedure was followed at all four WDW parks and guests received complimentary tickets on their way out past the turnstiles. Some guests described the shuttle buses back to their hotels as being ‘so quiet you could hear a pin drop.’ Other guests described the sound of panicked chaos in the hotel lobbies as families desperately tried to reach their loved ones. The usual air of Disney magic had been popped in the wake of such a shocking tragedy on American soil. I was a manager in Greetings From California location, as it was called then, now Elias and Company. I pulled the opening shift and was driving into Anaheim as I heard the events unfolding on the radio. Disney cast members parked off-site and rode a shuttle into the Resort so at that point, cast members were still allowed into work. Once at Disney California Adventure Park, I met the Park Store Op manager and together we waited for word from Disneyland Resort Park directors for our next course of action. At this point in Disneyland history, the park had only been closed twice before- President Kennedy’s assassination, and the Northridge earthquake in 1994. Word came through quickly that Walt Disney World was shutting down (they had already opened since they were east coast time) so we followed protocol and kept the park closed for the day. In the days following 9/11, Disneyland Resort changed security measures in adding security gates, and police presence on property including K-9. The cast member shuttle route also changed so cast members were dropped off outside of the Resort perimeter. These practices are still upheld today. What I remember most about that day is of course watching the horrific images on the television of the tragedies occurring throughout our country. But also, I reflect on the camaraderie of the cast members who worked that morning and the following days. Cast members and guests shared their experiences of the event, people seemed to revel a little more in the Disney magic- something we so desperately needed then. It was a humbling experience but I was very proud to be a part of the Disney team that morning. The next day, the parks were literally ghost towns. Only the hotel guests were really in the park. I remember working the monorail ticket booth (now a trading pin store) in the morning and I didn’t sell a ticket. Just processed travel vouchers, sold Lion King tickets, and working as an information booth for the resort. Not a single guest walked through DTD, no planes in the sky, no music was playing on the walkway, and it was very difficult to keep a smile on anyone’s face. Due to the low attendance, the parks closed earlier than scheduled. It was very surreal because only two days before it was packed. Something I’ll never forget. Everyone felt the impact of 9/11 in the days after and the cast members were put in a difficult position to keep a smile on their faces. 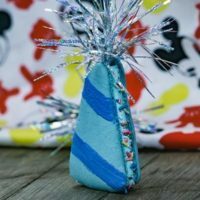 To help keep the Disney magic alive for guests that needed it so desperately after such a horrible tragedy. But the cast members, like the rest of America, were shaken and devastated in the aftermath of 9/11. Obviously, any airplane crash jokes were now completely inappropriate. Some skippers tried to distract their crews in this area of the attraction with other jokes. Others — such as myself — had a brief moment of silence. Suffice to say, none of us will ever view that show scene the same way again. A moment of silence does feel like the appropriate way to handle the situation. Now let me tell you how amazing Disney was to us and others we met on our trip. I went down to the front desk to pay for the phone charges the next morning. I didn’t want my sister in law’s credit card being charged. The woman I spoke to said “No one is going to be charged for any phone calls yesterday or for the next week or so. We all need to talk to our loved ones, and we wouldn’t feel right charging anyone at a time like this.” Wow! The people in the room next to us were supposed to fly out on the 12th, but obviously couldn’t. Disney comped them 3 more nights in the hotel, 3 days of park passes, and food vouchers. 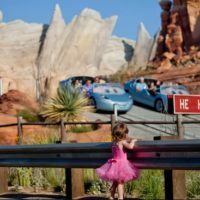 I don’t know about you, but that story reminds me of why we need places like the Disney Parks in today’s world. This family needed that little extra magic then in the wake of such an earth shattering event. And this world will always be in need of some extra Disney magic. To me, that’s what makes the Disney Parks so truly special in my heart. We need these places of light and magic to give us escape from the dark reality that happens too often in the world. It is rumored that due to the high amount of guests asking cast members in the following days how they could assist helped inspire the Walt Disney Company’s establishment of DisneyHAND: Survivor Relief Fund. The purpose of DisneyHAND was to provide a $5 million corporate gift and $700,000 employee donations to organizations providing assistance to victims and their families. Each of the victim’s families was issued a check for $1000. 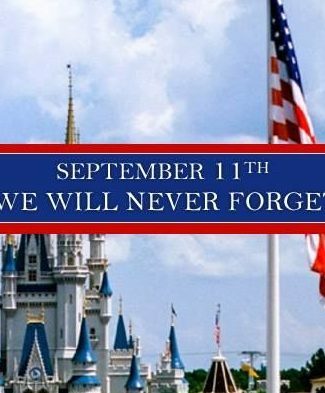 Lindsay, thank you for a fantastic piece detailing 9/11 at the Disney Parks. Wow. This is a moving tribute that reminds us why Disneyland and Walt Disney World are so important in our lives. My family and I were staying at the Grand Californian Hotel, in fact it was our first day to enter DL when we woke up to the news on TV. DL handled everything to the highest degree. It was an overwhelmingly hard vacation, made as easy as possible by the DL cast members. We are here in DL today on 9/11/18. Thank you DL for trying to make such a tough time as easy as they could. Thank you for this article. It is, as Gavin said, a moving tribute of why Disneyland and Walt Disney World are so important to us. It’s amazing to think it has been 17 years and the memories are still so very strong. Thank goodness we have positive stories to add, as well. Beautiful story today! Even after 14 years, it is still so meaningful to hear the good that transpired from that tragic period of time. Wow. Thank you for sharing. And should go on to saying, restoring compassion to humanity. Thank you Disney for always trying to bring happiness and smiles to our lives! I’m so glad that people banded together and spread happiness during such a difficult time. This is the perfect example of what should happen anywhere when there’s a disaster of any kind. As Mr. Rogers said, whenever there’s something bad going on, look for the helpers. The Disney angels were definitely in that number on that day.